Doraemon Nobita cartoon characters are the all -time favorite of kids. 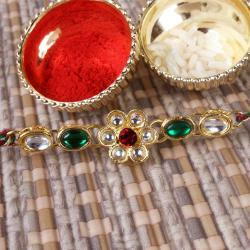 So when they get them on the Raksha Bandhan special Rakhi, it will make them happy and excited. 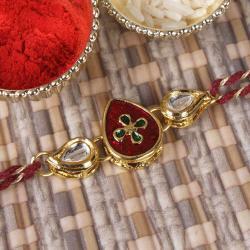 The cartoon characters dial is tied with a matching thread and is tied gently on a designer Rakhi special card. The card has a special cartoon printed on it to give it a special look. This gift when gifted by a sister to her brother will strengthen their bond and will make their relationship more special. It will be cherished for the rest of their life. 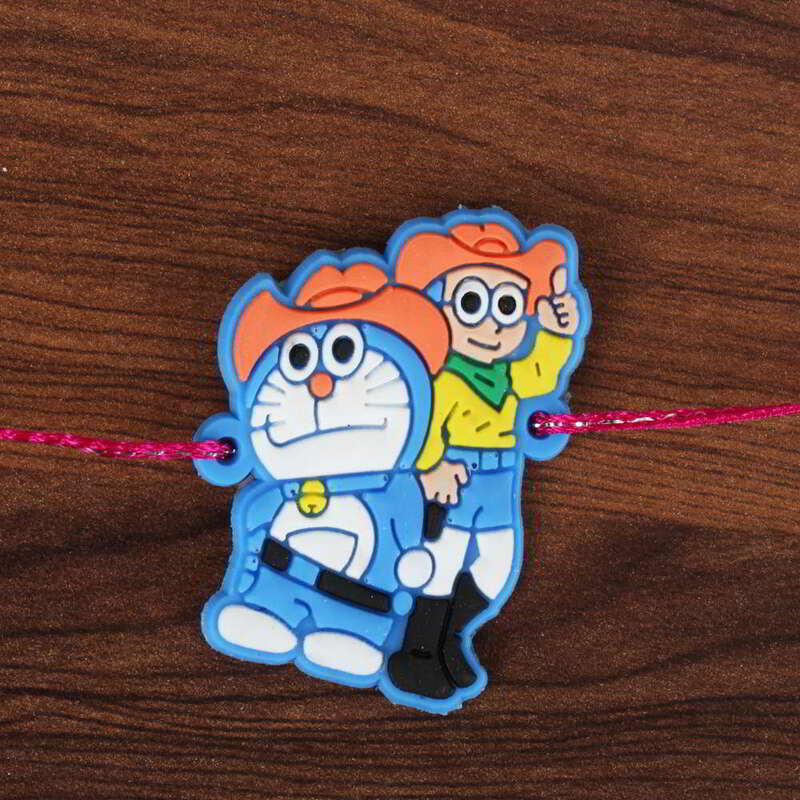 Product Consists: Nobita Doraemon Rakhi for Kids nicely tied on a Designer Card.